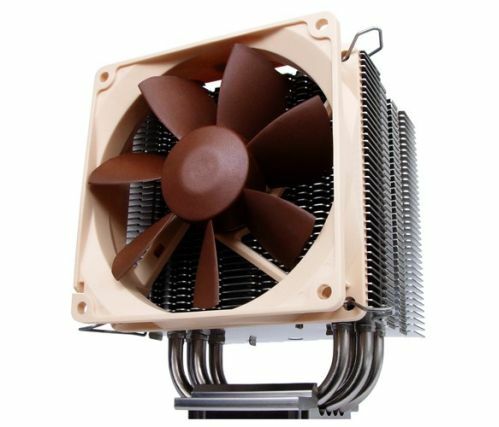 After the great success of the NH-U12P CPU cooler, Noctua decided to launch a new cooler as a part of its compact NH-U9 series, which use the smaller 92mm fan. This new CPU cooler, named NH-U9B, uses Noctua's recently announced NF-B9 92mm fan, and just like NH-U12P comes packed with Noctua's highly praised NT-H1 thermal compound. According to the press release, the new NH-U9B is ideal for HTPC's and other small cases. The new NH-U9B uses four dual heatpipes to connect the heatsink to the base of the cooler. As it was mentioned, the NH-U9B uses Noctua's NF-B9 premium fan, which provides high airflow and pressure performance at low noise levels. 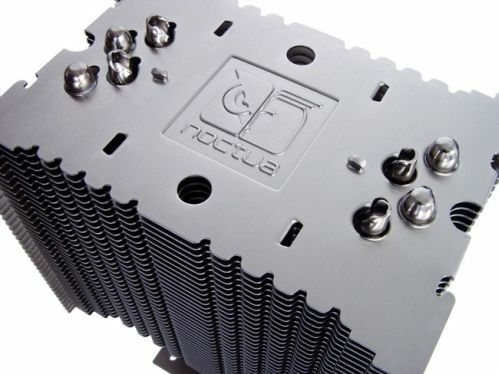 It also uses both Noctua's award-winning NH-U design and SecuFirm multi-socket mounting system with support for LGA 775, AM2 and AM2+ processors. It should be available immediately at a recommended price of €46.90 or US$54.90.